Religion has always played a pivotal role in European society. Shared knowledge and academic reflection can stimulate peaceful coexistence and avoid religious illiteracy. To achieve this, proper research instruments are of high importance. 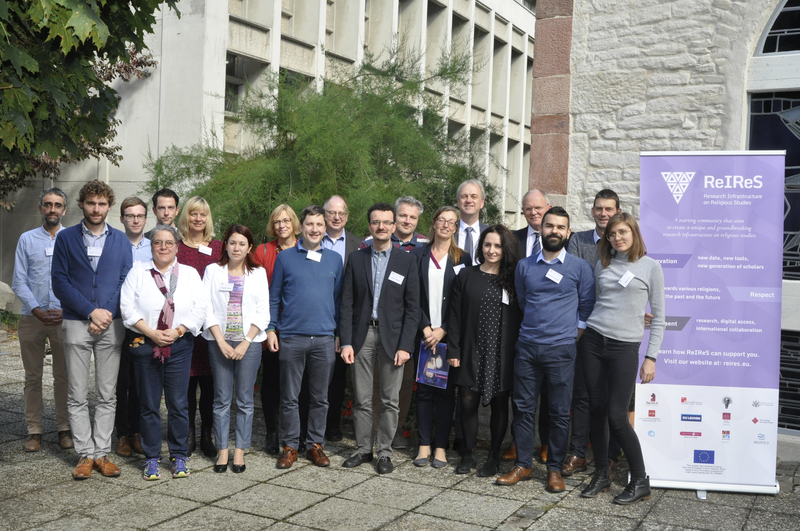 Twelve research institutions, including Johannes Gutenberg University Mainz (JGU), recently launched the EU project Research Infrastructure on Religious Studies (ReIReS) to create a unique and innovative research infrastructure that will promote religious research in Europe. ReIReS will provide transnational and virtual access to the most significant tools and sources in the field of European religious research. The project is unique in that it will systematically combine data of major European research institutions, thus offering knowledge that is a valuable source of information not only for scholars, but also for political and social decision makers. In addition and as part of the project, young academics will be trained in how to use these tools for their research. This will serve the objectives of the project, namely to explore the historical and cultural influence of Europe's diverse religious heritage on its history and to advance knowledge and innovation in the understanding of multi-religious societies today. At Johannes Gutenberg University Mainz, Professor Claus Arnold, Professor of Medieval and Early Modern Church History and head of the Faculty of Catholic Theology, initiated the project, which is coordinated by Alexandra Nusser. The JGU Theological Library including the Jewish Library, which contains the remains of the former Jewish congregations of Mainz, and the JGU Hymnbook Archive are part of the research infrastructure of the project, as are the Municipal Academic Library and the Martinus Library in Mainz. The Mainz-based sub-project thus consolidates the major historical treasures deposited in local academic, civic, and religious libraries with a view to increasing their visibility internationally and their accessibility on a transnational scale. One way this objective will be achieved is by awarding scholarships to European visiting scholars. The first ReIReS School in Mainz took place in September 2018. A total of 13 scholars and librarians from different countries all over Europe came to Johannes Gutenberg University Mainz to learn which sources and documents are available through the special collections of the libraries and archives affiliated with JGU in the ReIReS network and how to use them for investigations of historical-religious issues. 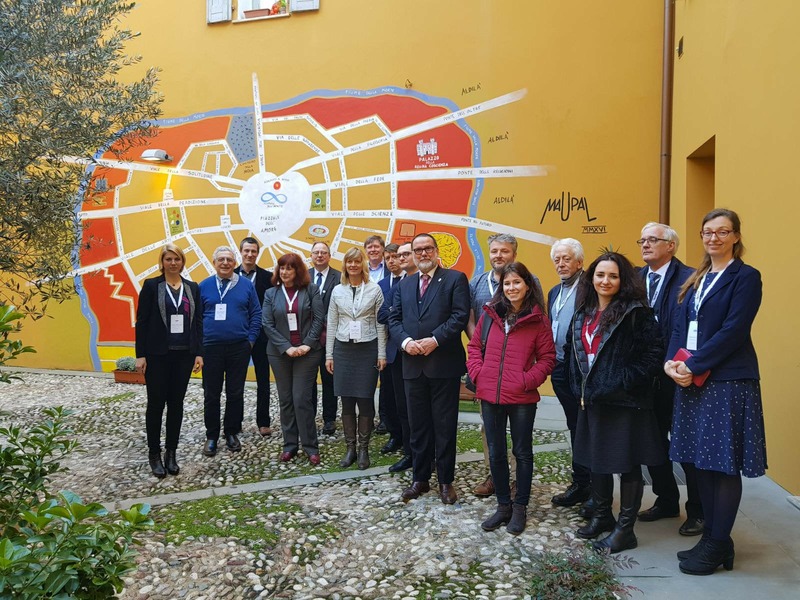 Kick-off meeting of the ReIReS project in Bologna in March 2018: participants from all involved European institutions based in seven countries discussed the organization and further development of the project.